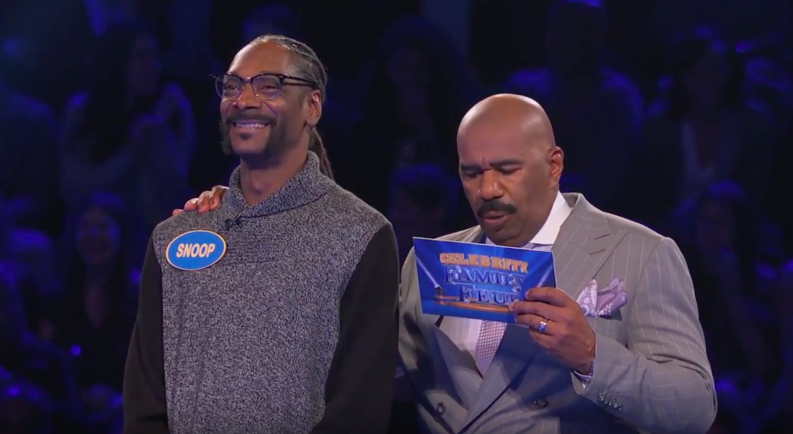 Didn’t think Snoop Dogg appearing on Family Feud could get any better? It does when his questions are marijuana-themed. 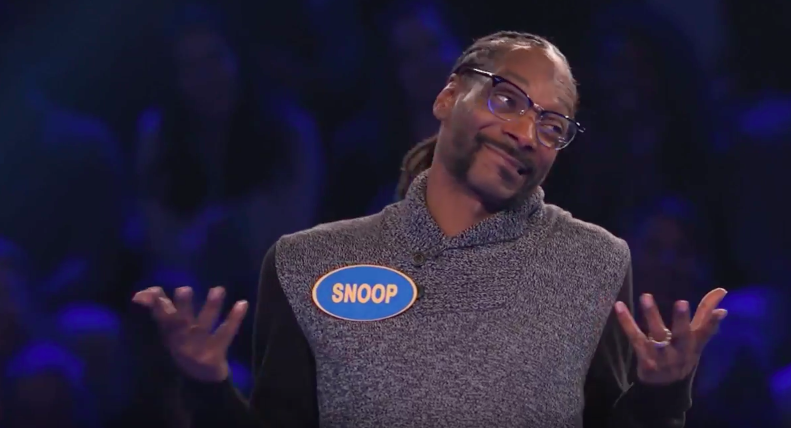 Snoop Dogg and his brood faced off against boxer Sugar Ray Leonard and his family on Sunday’s Celebrity Family Feud, where many of the questions aligned with the rapper’s area of expertise – weed. Unfortunately, it didn’t go Team Broadus’ way. But the Leonards were unable to guess all the correct answers, so Snoop Dogg and his brood had one more shot at redemption. It didn’t go well. Snoop’s next guess? That grandma would recommend grandpa go into the weed-selling business. The Leonards won the points in that round. 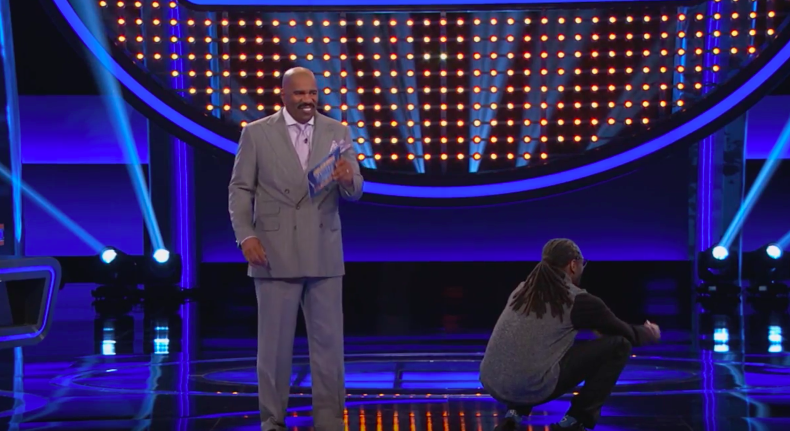 During the Fast Money round, Snoop’s answers were, shall we say, unconventional. 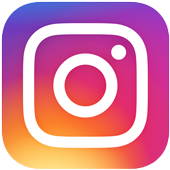 The category was “Pie in the…” and during the round before, his wife Shante Broadus had already answered ‘sky’ – completing a common idiom. Yup, if there ever was a place to put a pie, it would definitely be in a horse. Obviously, the answer didn’t win any points. But in typical Snoop Dogg fashion, he still came out with enough points to win despite some serious weirdness along the way.